Is it possible to overdose on cheese? That was the question I nervously asked one of my fellow judges at the World Cheese Awards as he sliced manfully into a suitcase-sized block of cheddar. It was the twentieth cheese we had judged that morning and we were still only halfway along our tasting table, which was stacked with such a diversity of cheeses that it was verging on the politically correct. Soft, hard, semi-hard, cream, goat, cow and sheep were all represented. 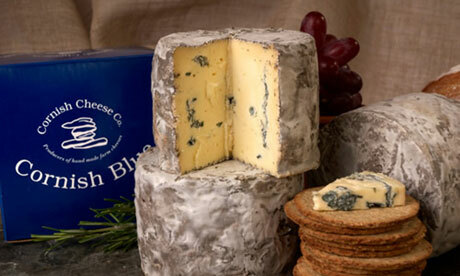 Not to mention blue, smoked, washed rind, mould ripened − pause for breath − pasteurised and unpasteurised. Even the Cheddars were broken down into mild, medium, mature and extra mature categories. In total, our hardy team of four judges, which included two cheesemakers and a deli owner, blind tasted its way through over 40 cheeses. What made this fromage eating feat even more amazing was that we were team number 46 in a judging area the size of a football pitch at the BBC Good Food Show in Birmingham. 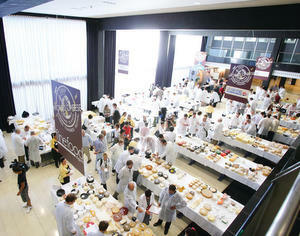 In a single morning session, over 200 judges from 29 countries managed to squeeze, sniff and sample 2,629 cheeses. 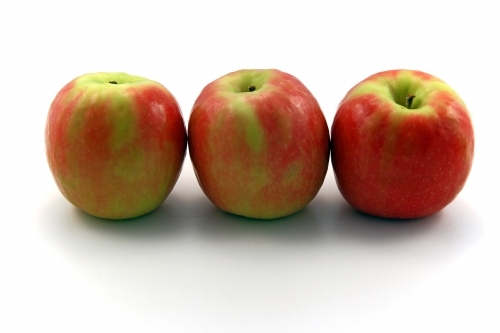 That might sound like enough cheese to feed a small country, but it’s remarkable how much you can get through with a steady supply of apples and water. We started with a lovely selection of mild goat’s cheeses and finished with five pretty dreadful cream cheeses, including one flavoured with curry that was verging on evil. A surprising number of cheeses were simply not up to scratch. Some were wildly unbalanced with overpowering acidity, saltiness or sweetness. Others had technical faults such as salt crystals or uneven veining that got the cheesemakers on our team tutting disapprovingly. A few had obviously not travelled well and had that telltale swimming pool tang of ammonia when a cheese is past its best. That said, there were also some stunning highlights. A Manchego-style ewe’s milk cheese that we tasted had a creamy dairy flavour that developed to a caramel sweetness before ending with a salty kick. Then there was a goat’s cheese coated in herbs that had a fresh simplicity a world away from the Billy goat hit that most people associate with goat’s cheese. The cheeses that made the grade were awarded Bronze, Silver or Gold with any disagreements between the judges sorted out by a scary sounding man called ‘the arbitrator’, who actually turned out to be a terribly nice chap called Mike. We then awarded a Super Gold to the best cheese on our table and this was put forward to the final judging rounds. We opted for a smooth salty blue that we suspected was a Stilton. The 47 Super Gold cheeses that went through were whittled down to a final selection of 15 cheeses by a ‘supreme panel’ of cheese experts. After further deliberation, Cornish Blue, from the Cornish Cheese Company, was crowned World Champion Cheese for 2010 − the first time in 10 years that a British cheese has won the award. Handmade by Philip and Carol Stansfield in Upton Cross with pasteurised milk from their own herd, the young blue cheese is creamy and rich with a gentle tang that is very different to Stilton. The Super Gold from our table turned out not to be a Stilton, but a Swaledale Blue from Yorkshire, which was named Reserve Champion, meaning we had tasted and put through the second best cheese in the world. The other good news was that I managed to make it through the judging process apparently without doing any long term damage to my health, although I did feel rather strange for the rest of the day. Not enough to miss lunch mind.